The valley is full of water this season. 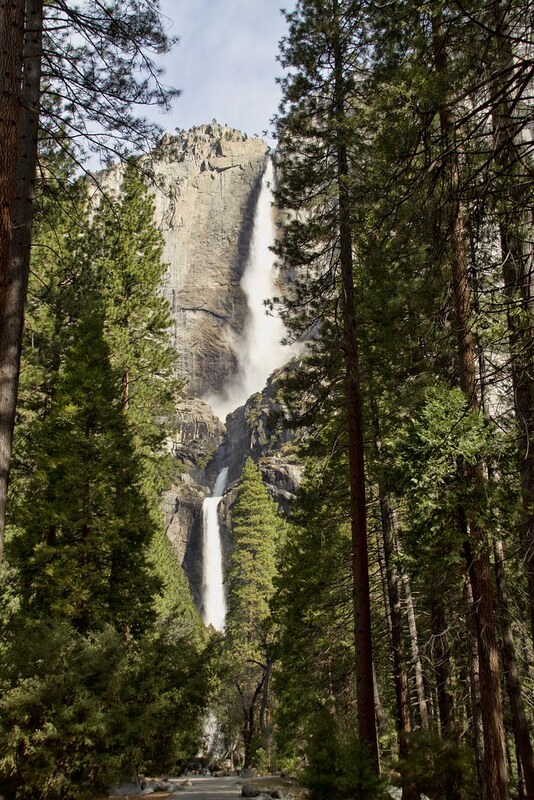 As you turn a corner on the path approaching lower Yosemite Falls, you see this incredible view of the falls through the trees. The closer you get, the roar of the water continues to grow. 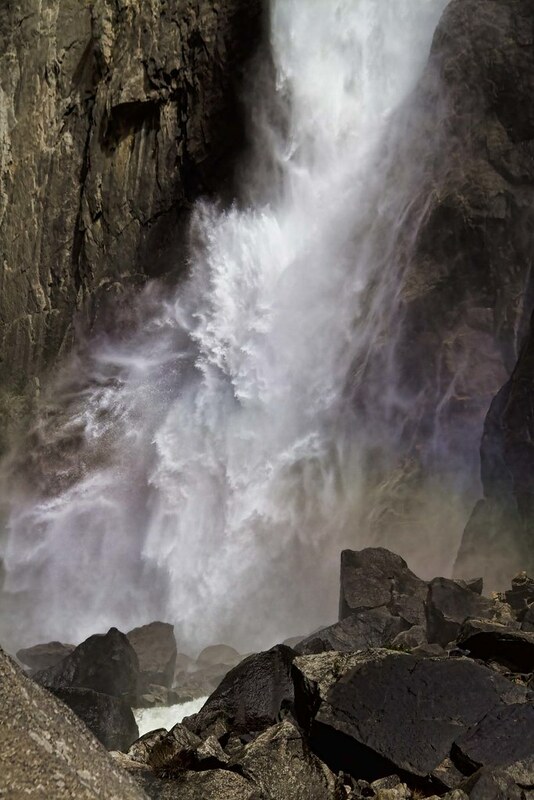 It is impossible not to be impressed by the shear power of the water as it falls on the rocks below. It almost looks like it is a solid, it takes on so many forms, continually changing as you watch. And then you come to the streams that mesmerize you. 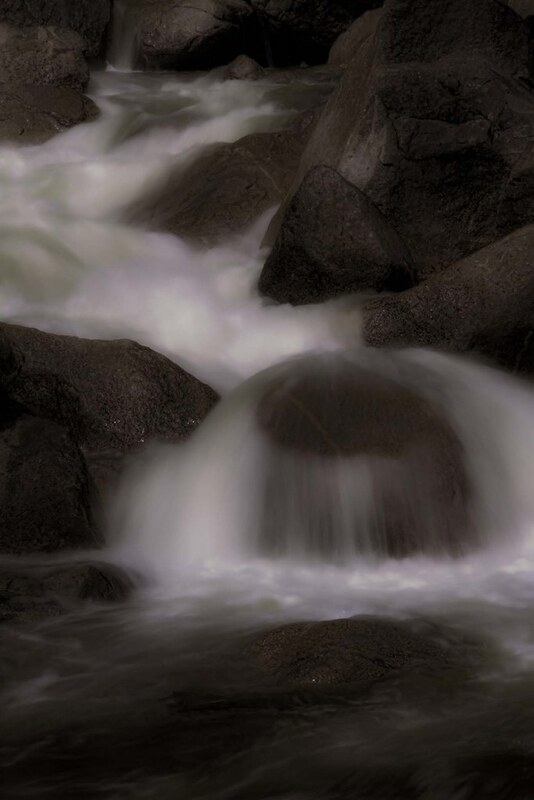 I could watch the water run over the boulders for hours.